Why Is mbrace® Connect Such a Coveted Luxury Feature? mbrace® packages bring together a range of top-notch features and apps that keep you more connected, entertained, and protected than ever before. The mbrace® Connect base package comes as standard for five years with any new Mercedes-Benz vehicle, and a score of further available features allow you to fit mbrace® technology around your own unique lifestyle. The mbrace® Secure package instills confidence when you’re behind the wheel. Should you ever become involved in an accident, automatic collision and alarm notifications work with SOS/Emergency call capabilities to alert emergency services and bring them to your location. Safe Ride: Vehicle and customer information, including your GPS coordinates, are sent to an mbrace® customer specialist. They’ll arrange a ride home and offer to contact a friend or significant other. Crisis Assist: In the event of a crisis, an mbrace® customer specialist can relay important information to you. Your mbrace® Entertain package will make sure that even a cross-country trip doesn’t leave you or your passengers bored. With iHeart Radio®, you can access millions of stations, playlists, and podcasts to enjoy commercial-free entertainment. You can also connect your personal device to an in-vehicle Wi-Fi hotspot, which provides a stronger and more reliable connection to the web than your smartphone ever could. Even the standard mbrace® package inundates drivers with top of the line technology. mbrace® Connect allows you to start your car, lock or unlock the doors, or even send an address from your personal device to the vehicle’s onboard navigation system, all using nothing more than the convenient Mercedes me app. The inclusion of in-vehicle apps like Yelp and local search lets you find anything from the closest coffee shop to the best restaurant without pulling out your smartphone. You’ll even be able to locate and track your Mercedes-Benz, great if you lend the car to your kids or worry that it might have been stolen. Remote diagnostics makes servicing a breeze. It’s hard to underestimate just how much mbrace® technology can change the way you feel about driving. 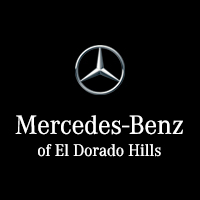 If you’re interested in subscribing and activating, make sure you visit Mercedes-Benz of El Dorado Hills. If you’re thinking of upgrading to a Mercedes-Benz with mbrace®, feel free to explore financing or schedule a test drive.